The homecoming of the ancient bronze icons of royal couple Raja Raja Chola I and his regal consort Lokamadevi is an incredible development and marks a watershed development in the sustained efforts to retrieve the priceless stolen treasure, according to art enthusiasts of Thanjavur. They say it is important to sustain the momentum and bring back as many stolen artefacts and idols and as early as possible. 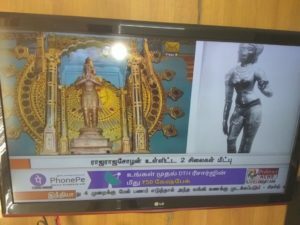 “The return of the priceless icons of Raja Raja Chola I and Lokamadevi to Tamil Nadu is akin to consecrating the Sri Brihadeswarar temple afresh. I feel as if the emperor himself is returning home,” an elated Kudavayil Balasubramanian, Chola historian and epigraphist, told The Hindu on Wednesday. 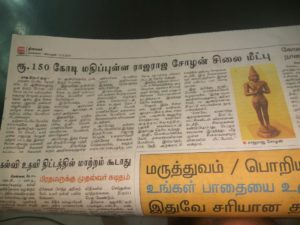 The two bronze artefacts assume enormous socio-cultural and historical significance, as they are the only icons of the royal couple cast and stamped with the regal authority during the emperor’s own lifetime, said Dr. Balasubramanian, whose magnum opus Rajarajecharam is rich in scholarly research inputs. Tracing the background, sources at the Idol Wing said a petition by former Minister V.V. 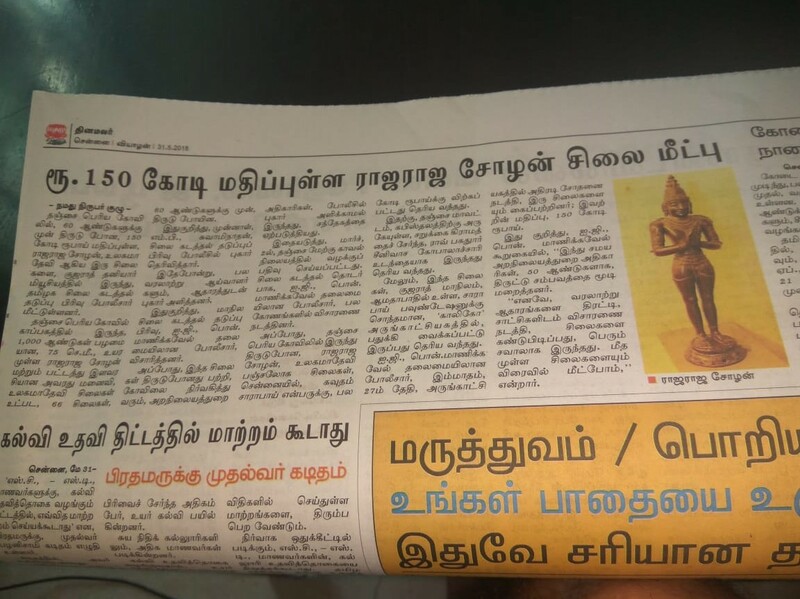 Swaminathan prompted the Madras High Court to direct the Idol Wing to look into the case of missing ancient bronze idols, especially that of Raja Raja Chola I and Lokamadevi, from the icon safe at the Thanjavur Big Temple. After a through field study aided by inputs from experts in Chola history and iconography, it was found that the ancient bronze icons, donated to the Big Temple during the 29th regnal year of Emperor Raja Raja I, had “somehow been stolen” and finally found their way to the Calico Museum of Textiles and the Sarabhai Foundation Galleries, Ahmedabad. The two were part of the 13 bronze statues donated then and there is no word yet on the status of the other 11 idols. However, a complaint filed with the police on March 2 here also states that several other ancient valuable icons dating to the period of Raja Raja Chola I have been stolen from the Big Temple vault.